As a result of the customers and partners feedback, a proposal was made to change the current token payment system. The proposal is revolutionary and will require improvements in the billing system and platform architecture elements. Please carefully read this post if you are interested in how we are developing and what are the company’s current goals are. What was CAPP created for? 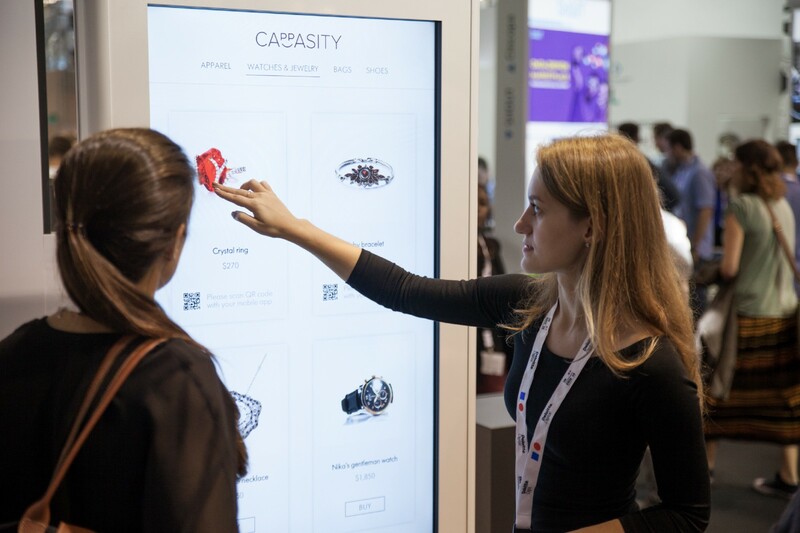 To use it inside the Cappasity platform for services provided by the platform. The platform solves the problems associated with the creation and integration of 3D content and our current users are business representatives. All this you will find on www.cappasity.com, but to complete the picture I will go over the message here. On our part, we expect that if you bought CAPP and ticked it off during purchase (tokensale website) to signal that you are going to use it on the platform, you are already aware of how things work and have a need for CAPP. So, this means that our main goal is to raise awareness about Cappasity among business representatives who then will begin to create the content and actively use integration services. In September, we partnered with the PR agency MSL Group, and now they represent us in the core business press and build the awareness about the platform. I think you might have seen the links to published articles in the Announcements channel https://t.me/cappasityupdates. Every month we plan to release up to 3–4 publications about Cappasity. In the near future, we are launching marketing initiatives in the Quora and Medium expert communities. The average number of account registrations has grown to 500 per month — a good indicator for the current B2B focus. Naturally, some accounts are used in trial mode, and some are switching to paid option. Enterprise clients connect individually and do not use the platform payment system yet. CAPP is used as a native token to pay for platform services, like many other platforms have a system for buying virtual currencies (often referred to as credits). Yes, yes, crypto almost did not bring anything new, except for standardization (ERC-20) and new legal aspects. The system of virtual currencies was introduced many years ago and we are not reinventing the wheel. But with crypto, we get a new audience that either uses the platform or allows others to get platform tokens through exchanges. Crypto is an interesting marketing story! The current decline in the market demonstrates the decline of speculators, but we believe that projects focusing on platform development will only get stronger. Still, this will not happen as quickly as many would like. Now let’s ask the question — why customers will more actively use CAPP for payment? Discounts. We can afford it, since we have practically no fees for receiving a CAPP token. Unique services available only through CAPP. These may be additional services like 3D analytics or a copyright system. Simplification of the token acquisition process. The third point realization is made possible by the launch of an internal exchange service. But if the third point is more legal and technical, the first two we’d like to discuss with you now. Discounts on their own are boring and unoriginal. So we have come up with a new suggestion. The idea is that we will separate fiat payments for platform services from payment by tokens. Now the CAPP token is used simply as a currency for a subscription, and with the changes it will provide a completely different approach to services payment — more beneficial for all parties. 1) You keep a certain number of CAPP tokens that allows you to use certain services for free. More tokens — more services available to you. 2) Tokens are frozen in your CAPP Wallet (wallet located on the platform), but you can terminate the agreement with platform at any time and withdraw the tokens. In this case, the services will be suspended. Minimum subscription period — 1 year. 3) Once a year we charge 10% for maintenance of the infrastructure. In the case of an early withdrawal, the percentage is indexed. 4) The minimum number of purchased tokens is indexed on the basis of the current rate at the time of the offer. Even market volatility will not have any negative effects, since tokens are frozen, not spent. You pay only for maintenance. In addition, blockchain protection will be paid based on the fact that protection of one 3D View will cost 1 CAPP, plus costs for transactions in CAPP and system commissions. Also, we will introduce a commission of 0.1% of the transaction amount for frozen tokens withdrawing.